This guide will use a 64-bit Windows 2008 R2 Server (Standard Edition) for backup as an example. Other versions of Windows server will follow similar installation steps. 1. 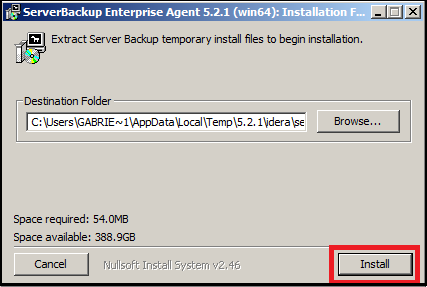 Download a 64-bit Backup agent for Windows from the download area on www.in2net.com. Selecting an incorrect version of Backup agent may lead to improper replication. 2. The file you download is called "ServerBackup-Enterprise-Agent-win64.zip". You need to extract its contents by third party application such as Winzip. The content extracted consists of a folder called Win64 and a Enterprise-README.txt file. Inside Win64 folder is the executable file "ServerBackup-Enterprise-Agent-win64-5.2.1.exe" you need. Run the executable and click [INSTALL] button to start the installation. Click [NEXT] button to continue. 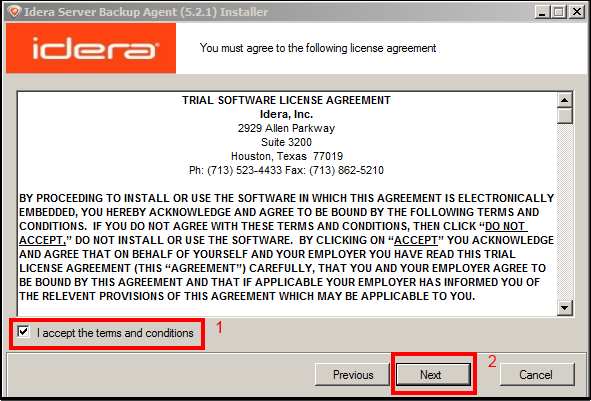 Accept the license agreement by clicking on the checkbox followed by clicking the [NEXT] button. This following screen verifies whether your Windows server version and its drivers have met the software requirement for Backup agent. Click [NEXT] button to continue. 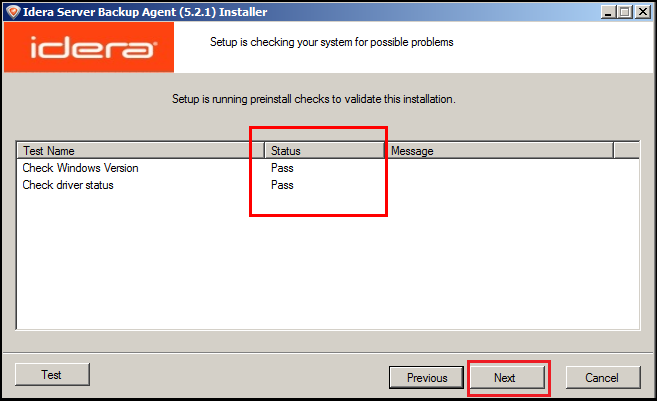 If the status shown in the Status column does not show PASS, you should correct the issue before resuming the installation. 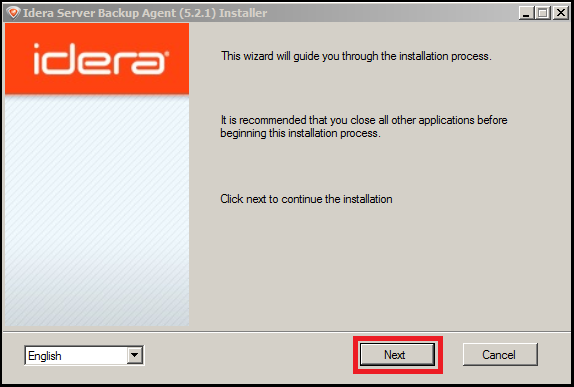 If you would like to change the default installation path (labelled 1 below) for Backup Agent, you can do so in the following screen. Click [NEXT] button when complete. Click the [NEXT] button again until you see the following screen. Click [FINISH] to close the Windows dialog. After the last step, you may be prompted to reboot your server. It is recommended you reboot your server before the next step. 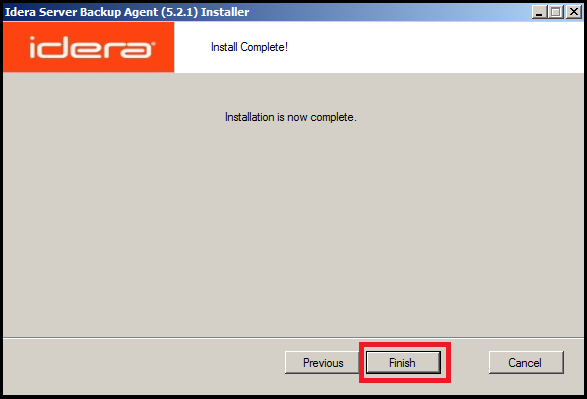 Now you have complete the installation of Backup agent. 3. 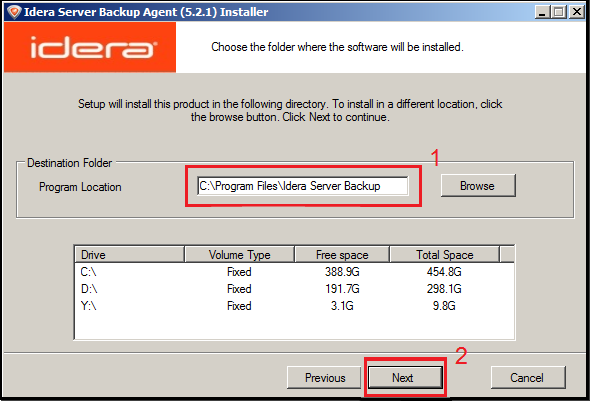 To configure the Backup agent, look for "Backup Agent Configuration Utility" under "Idera Server Backup" in your Windows menu. 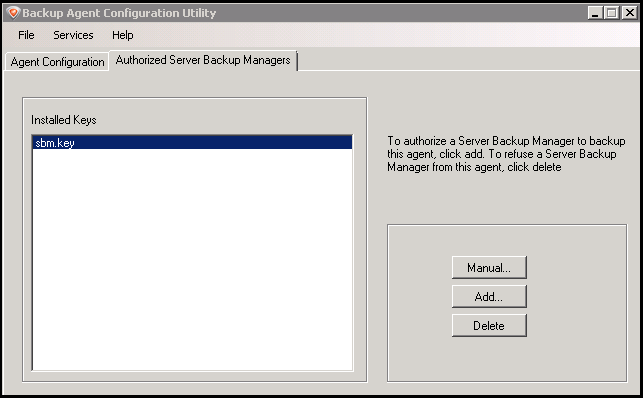 Backup Agent Configuration Utility contains two tabs: Agent Configuration and Authorized Server Backup Managers. On Agent Configuration tab, you can leave everything unchanged. 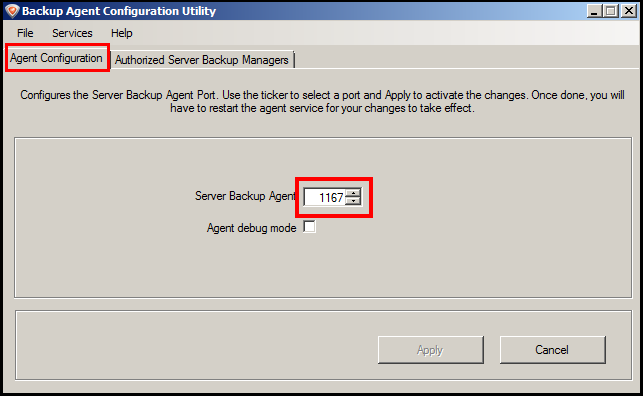 Backup Agent and Backup manager use tcp port 1167 by default for data synchronization. You can change this port to a different value. You MUST ensure your hardware/software firewall have this port open. 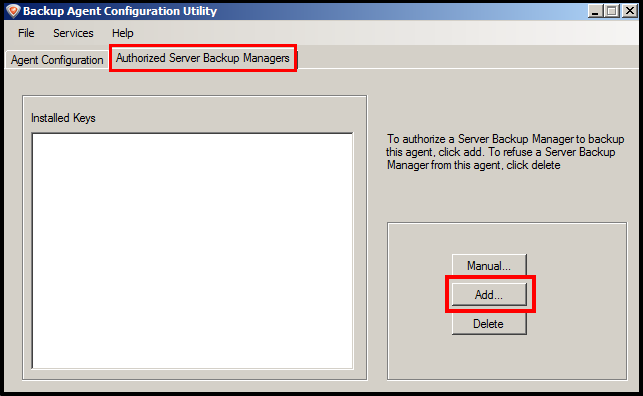 On Authorized Server Backup Managers tab, you must authorize a particular Backup manager to interact with this agent by obtaining an encrypted key from Backup manager. 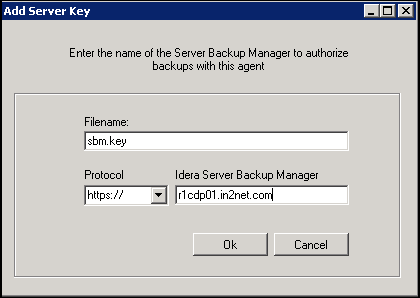 To add the key, you need to know the ip address or url of Backup manager, provided by In2net Network Inc. The following dialog box will appear. you may enter the protocol, Server backup manager's ip address and the filename. c) Filename: The encrypted key is stored as a file in your server. You need to give this file a name. We use sbm.key in this example. If you have added the server key successfully, you should see a screen like the following. a) Make sure the url or ip address of the Server backup manager is correct. b) Ensure your firewall(hardware/software)'s tcp port (1167 by default) is open. Now you may proceed to protect your first server by following this link.